Bali Surf Coaches is your surfing coaches and surf guide who provides surfing activities on the island of Bali and even be more than a surf instructor and surf coach, we will helping you to improve your surfing ability and also your confidence. 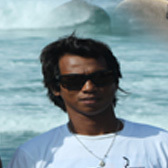 Bali Surf Coaches is created by Balinese professional local surfer, Sadia I Ketut, and Alit Nala Kerisna with big talent, strong spirits and professional to provide friendly services on every moment of your surfing experience. We are the people came with the hard work and experienced. We are proud to serve you and arrange all your needs during your surf holidays in the paradise island of Bali. With over 15 years experience as a surfing tours guide and coaching, we are ready pick you up from anywhere on the island. With our intimate knowledge, we can organize special packages and itineraries based on your particular interests and needs. 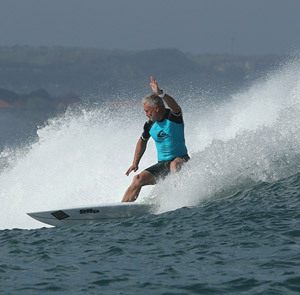 WHY WITH BALI SURF COACHES? We are happy take you to some of great surfing locations in Bali including Uluwatu, Canggu, Kuta, Sanur, Tanah Lot and more...the choice is yours! We provides air-conditioned and comfortable cars for your surf trips in Bali. One of the best...there is in Bali! One of the finest Balinese guys i know and consider now a very good friend, we arrived in 2 weeks ago to Bali, and whilst i have been to many Bali over 30 times, it was great this time whilst traveling with Family to have a top guy like this, to take me too the best spots on the days i wanted to surf. Oh and lest not forget the countless amount of Surfing photos to take home. I'm back in April 2018 and i will no doubt be hooking up with these guys yet again. For an authentic Balinese experience our home stay offers a private comfort within a traditional Balinese home setting. Set inside our home property in the quiet local coastal village of Seseh Beach, away from the busy tourist scene you will experience what Bali really has to offer. Generous air conditioned rooms complete with en-suite and amenities with a private garden courtyard are a relaxing setting to hideaway and recharge your batteries. Left to your own devices you have the option of enjoying hanging with our friendly dogs or interacting with our family and children.